When? 02/11/2018 - 6:00 pm - Starts in -168 days! With sailing, you can often expect fireworks! But this event is something else! 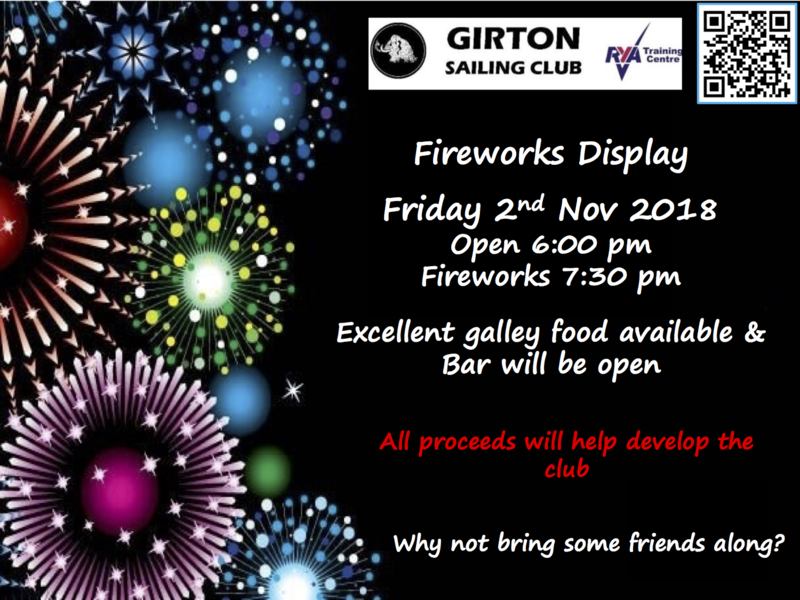 An amazing display of fireworks, reflecting over our beautiful sailing water, galley food, hot drinks and the ‘Wooley Mammoth’ will be open for something stronger! If you’ve never been before it’s hard to imagine any other fireworks display being as good – come along and you;re bound to agree!